With the past year having wrapped up, it's always fun to see if the list of top 10 most wealthy musicians has changed or completely shifted. The data for this year is in, so it's time for an update. Just remember, these values and fluctuations are estimations based on a host of variables and publicly available documents, but they've got to be pretty close! It is possible to build immense amounts of money as a music artist. It allows you to grow your wealth and income even more by breaking into Hollywood, Broadway, and becoming an Entrepreneur. Change: +$25M - It's hard to believe that Mariah Carey is still within the top 10. She hasn't made any major moves lately but that goes to show you the power of striking while the iron is hot, saving, and reinvesting. Even with her flop of a movie, Glitter, she's still holding strong. That perfume line must be doing well. Part of her continual earnings are her constant appearances in Christmas and New Years Eve celebrations. She holds the record for the longest-running U.S. #1 single (16 weeks straight! ), and is the third-best-selling female artist in the U.S. She's also the only artist to ever top the Billboard Hot 100 Decade-End chart more than once. Her lists of music awards are endless, including 5 Grammy's, 19 World Music Awards, 10 American Music Awards, 14 Billboard Music Awards, and more. Trivia Fact: Mariah Carey is one of the rare vocalists with a clean five-octave vocal range and her controlled use of the whistle register. Change: -$210M & ↓5 - This lady has been in the game for a long time, pumping out pop hits since the 80's and forward, experiencing all of the ups and downs the industry has faced over the years. Alongside her musicianship, she's a Golden Globe winning actress, author of several children's books, fashion designer, owner of Maverick Records, and owner of a series of health clubs. The real wealth comes from her tireless touring, having played more live shows than any other female musician ever, making her the highest grossing solo touring artist of all time! She's possibly the hardest working woman in show business. Trivia Fact: The Guinness Book of World Records lists Madonna as the best-selling female recording artist of all time. The Recording Industry Association of America (RIAA) lists her as the second highest-certified female artist in the United States, behind Barbara Streisand. Change: +$100M - Bono is a strange one. 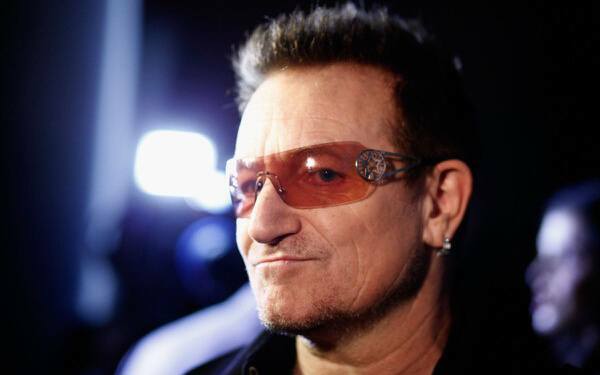 The lead singer of U2, Bono is straight killing it by marketing himself as the guy who wears those glasses while caring about eco and social activist issues. I can make jokes all day long, but the fact is, Bono is a boss. Beyond his work as a singer-songwriter and musician, he is also a venture capitalist, philanthropist, and general businessman. He's such a huge figure for the Irish people (and unapologetically outspoken) that he's been the target of terrorist threats and actions. Like many on this list, Bono has been awarded knighthood. How many dragons have you killed!?!? He is to be addressed as "Paul David Hewson, KBE OL." Trivia Fact: For being a huge philanthropist and social activist, it was a surprise when his name appeared in the Paradise Papers, which provided proof and exposed globally many wealthy people engaging in tax evasion. Change: -$40M & ↓2 - There's a lot of crap out there trying to undermine the D.R.E., but the fact remains, he's impacted rap, music, and the culture of the United States. Very few people can say that. 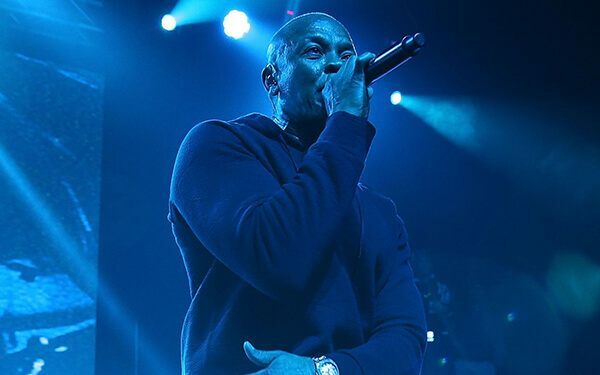 From being a member of N.W.A., Death Row records, and operating his own label, he also launched several proteges, including Snoop Dogg, Xzibit, Eminem, Kendrick Lamar, and 50 Cent. Dr. Dre has only released 2 albums under his own name. Otherwise, he's a guest star, prolific beat producer, and compilation creator. Few musicians have the power to create other superstars, and he might be the most powerful. Like many, Dre has even had some acting roles, though at the end of the day it didn't seem to be among his strong suit. Trivia Fact: Dr. Dre sold his world's top headphones company Beats By Dre to Apple in 2014, launching him way up this list. The marketing and products are impeccable, which made it an easy $3 billion dollar decision for Apple. Change: +$170M & ↓1 - There's no wonder that Ms. Dion is on the top 10 list. She's the top wealthiest music artist in Canada of all time after selling over 200 million records! After her smash hit on the Titanic soundtrack, she took advantage, launched the popularity of auto-tune (for better or worse), and rode that wave straight to the top 10 list! She has released albums in French and English, won countless contests and awards, and has the record for the highest concert residency of all time, where in Las Vegas she can command $500,000 per show. Take that info and do this math: she's performed her 1000th show in Las Vegas in 2016. Trivia Fact: Celine is the youngest of 14 (yes, you read that right) siblings! She's also been honored Canadian and French titles for her civilian merits and contributions. She is to be addressed as "Celine Dion, CC OQ ChLD." Change: +$125M & ↓1 - P. Diddy, A.K.A. Puff Daddy, Puffy, Diddy, Sean Combs, Sean John, etc. I'm sure there's more. This kind of marketing keeps you relevant, as silly as it is. We all could learn from this master, which has earned him the sixth spot on the list. He went beyond his own recordings to operating his own label, Bad Boy Entertainment, launching the careers of guys like The Notorious B.I.G. and Mase. Other successes include his Sean John clothing line, perfume line, and hit television show Making the Band on MTV. Trivia Fact: Like many of the richest people in the world (Steve Jobs, Bill Gates, Kanye West, etc. ), Puff Daddy is also a college dropout, leaving a business major program. 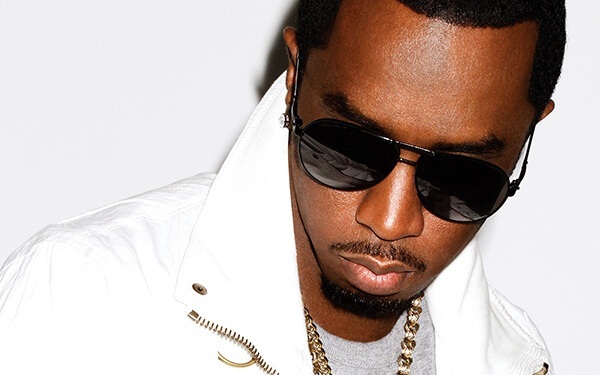 Ironically, Forbes listed Diddy as a top 40 entrepreneur under the age of 40 in 2002. Change: +$30M & ↓1 - Hubert Alpert (and the Tijuana Brass band) have released five #1 albums and 28 total albums on the Billboard charts. His other notables awards are 9 Grammy's, 14 certified Platinum albums, and 15 more Gold albums. His total sales are over 72 million worldwide! Alpert is the "A" in A&M Records, which undoubtedly contributes to his unbelievable riches (he sold it in 1987 for a reported $500 million along side his partner Jerry Moss). They later sued for a breach of contract, receiving an additional $200 million. His other ventures have included professional sculpting and a line of perfume, which he likens to music with its "high notes and low notes." 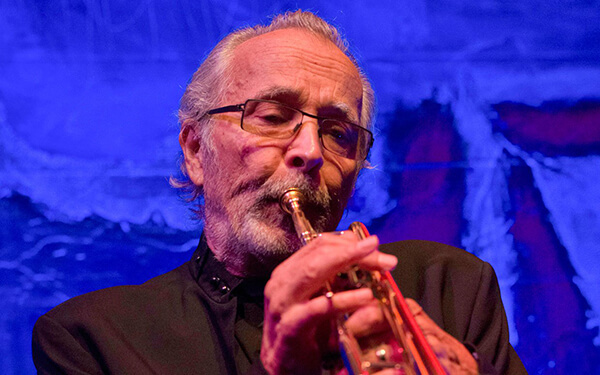 Trivia Fact: Herb Alpert is the only musician to hit #1 on the Billboard Hot 100 as both a vocalist in 1968 and an instrumentalist (trumpet) in 1979. Change: +$340M & ↑6 - He's not a businessman, he's a business, maaaaan. This is what happens after you score 19 Grammy's, sell over 100 million records, and launch a successful clothing company Rocawear and record label Roc-A-Fella Records. After marrying Beyonce, their combined wealth is over 1 Billion. It still wasn't enough to outbid Notch (creator of Minecraft) for a house they competed for. All it's going to take is a few more "retirements" and "come backs" and he should climb a few notches on the list. Maybe one extra come back cycle to make up for his goof with Tidal and Aspiro. Of all his shenanigans, Jay-Z admits to having shot his own brother at the age of 12 for stealing some of his jewelry. I don't know if that adds up to street credibility or the stupidity of being a kid. Trivia Fact: Jay-Z was once the president of Def Jam Recordings. He's also a licensed sports agent, working with his company Roc Nation Sports. Change: +$100M - There's no way you wouldn't find a member of The Beatles on this list, especially Paul McCartney. He and John Lennon basically shared writing credits for their entire run, guaranteeing both of them continued riches forever. 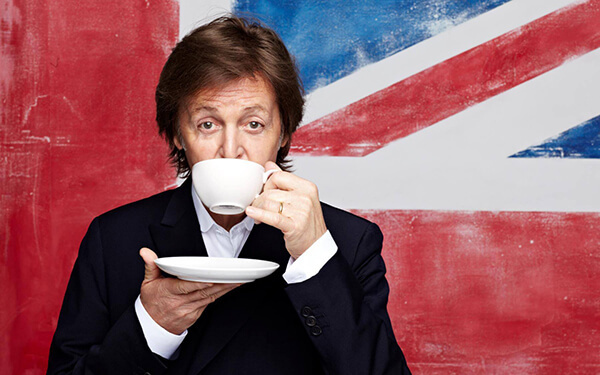 Tag on Paul's killer solo career, the band Wings, and collaborations with Michael Jackson and most recently Kanye West, and you've got a guy who's been a relevant pop icon since the early 60's. The multi-instrumentalist has written or co-written 32 songs to reach #1 on the Billboard Hot 100. Paul's song Yesterday is the most covered song of all time, having been remade by over 2,200 artists and bands. Talk about some royalties! He's also been knighted and honored every which way possible, musically or otherwise. It's reported that he holds over 25,000 copyrights. Trivia Fact: The Guinness Book of World Records recognizes Paul McCartney twice, as the most honored composer and performer in music as well as the most successful songwriter ever. Trivia Fact: Andrew Lloyd Webber has been granted knighthood and a title of nobility for his contributions to music, in addition to his 6 Tony's, 3 Grammy's, an Academy Award, and far too many more to list here. The proper way to address him today is "The Right Honorable The Lord Lloyd-Webber, Kt." Who Will Claim a Wealthiest Musician Spot Next? It'll take some serious power moves for newcomers to displace someone from the top 10 richest musicians list. Each of the tycoons above have their hands in a lot of jars that extend far beyond music. The next generation better get ready to hustle! I see some possible contenders out there: Eminem, Kanye West, and Taylor Swift. But it goes the other way around too. Any of these movie celebrities out there could make the right investments into their own music career and if they can start trending, then boom, instant billionaire status. Michael Jackson would be in the top 10 for sure had he not passed so early, although he was known to accumulate debt as well. I tell you what, I'd be happy to just be in the top 10,000 most wealthy musicians list.